I have never been a big fan of the Hulk as a character, or of his alter ego, Bruce Banner. It's one of those cases where I got the concept of the character, but the themes most folks tried to explore with it always left me cold. Maybe it's because Hulk was one of the last holdovers from the "monster" books that Marvel was putting out previous to their superhero resurgence, or because Bruce Banner always seemed like a hopeless sadsack, but the character just never resonated with me. I liked the occasional walks off the beaten path, like the Hulk-as-Conan riff in Planet Hulk and World War Hulk, but the character didn't really work for me most of the time. 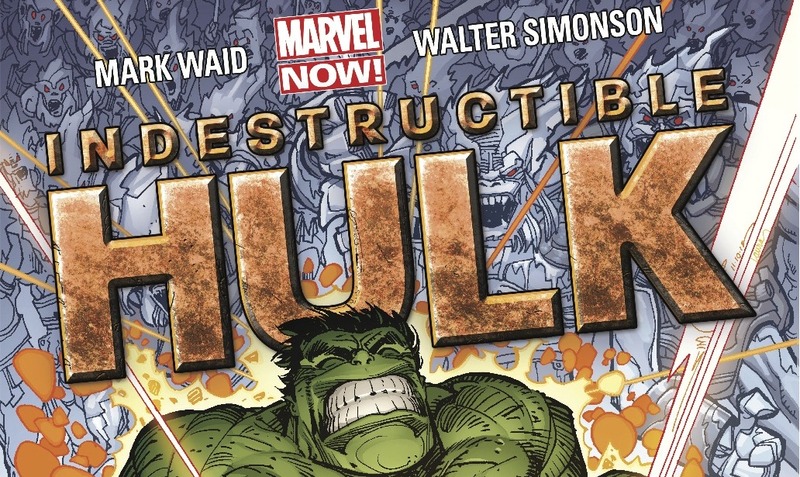 That's all changed with the new series, Indestructible Hulk. Minor spoilers for the first story arc follow. The core concept of the book is that Bruce Banner has decided to stop trying to treat Hulk as a thing that can be cured, and instead treat his Hulk episodes as a chronic condition, like diabetes. He also stops moping about his condition and gets himself a makeover and starts looking at his life in a new way. He switches from glasses to contacts that let him monitor a bunch of his vitals to know when a Hulk episode is coming on. He starts inventing again, using the time he had previously wasted trying to get rid of the Hulk to instead create a legacy for himself beyond the monster inside. And, most importantly, he stops running from the government, instead seeking out Maria Hill and making a deal with her. And here's where the book gets really interesting. Banner's new motto is "Hulk smashes, Banner builds." In exchange for a huge lab with a handpicked team of scientists, Banner will live in a secured SHIELD facility and make the Hulk available for "outings." When SHIELD needs something blown up, they basically drop Hulk somewhere and let him go to town, then pick Banner up later on and return him to his lab, where he creates new things to improve the world, like portable village-level water purification machines, green energy devices, and the like. 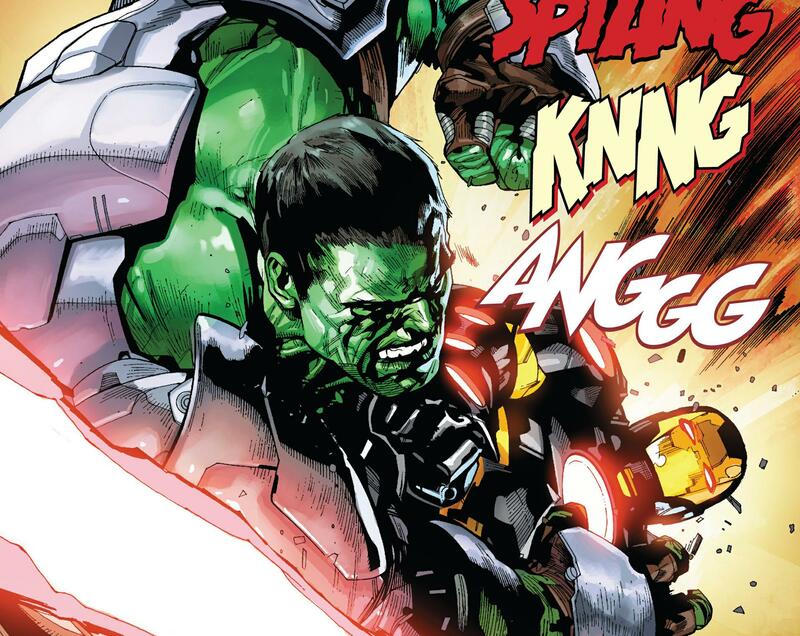 The format allows for both fun superscience hijinks and enjoyable "Hulk smash!" without turning into the mopefest the character has often been in the past. It's a spin on the traditional character that essentially asks, "What happens when the angry outcast nerd stops using his differences as a reason to isolate himself and instead turns them into strengths?" It's the kind of thing I wish I could have given to teenage me, and it might be helpful if you have an angry outcast nerd in your family. Even if that were the only reason to like it, it would be a really valuable book. But, that's not the only reason; the art (some by Yu and some by Simonson) is great, and Waid's writing, as usual, is excellent. I really like this book. It's one of the very few that I don't wait for the single issues to be collected in trades, because I want so much to see what happens next.